Theresa graduated from the Georgia Perimeter College Dental Hygiene program in 2007 and has been with Dentfirst for eleven years so far. while in Hygiene school Theresa was awarded a scholarship from the Georgia Board of Dentistry in 2006 and appeared multiple times on the Deans List. One of the main reasons she decided to pursue a career in Dental Hygiene is because she thoroughly enjoys getting to know her patients and helping them maintain the best oral hygiene possible. 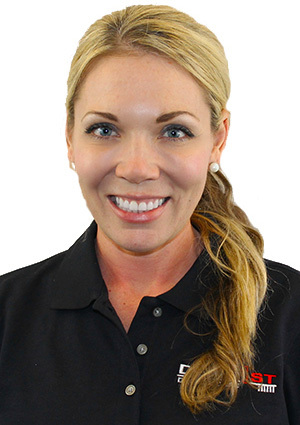 She is committed to delivering the highest quality of dental hygiene care that she knows each and every one of her patients deserve. Theresa donates to “Operation Smile”, a charity that is dear to her heart as donations go to assist doctors who volunteer their time and resources to perform corrective surgeries for children born with cleft palate and cleft lip in underdeveloped countries. In her free time she enjoys spending time family, and playing fetch with her spoiled dog Oliver. Theresa is also a fitness fanatic and loves running, hiking, and going to the gym on a regular basis. One of her favorite mottos in life is “life happens when we step outside our comfort zone”.